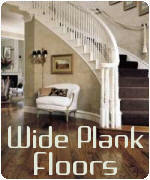 Looking for classic parquet patterns you may have seen on Long Island or the main line of Philadelphia? All Oshkosh Design and Czar products are available through our store. Listed below is a sampling of the styles available. 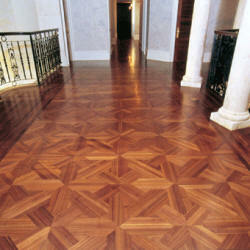 All parquetry patterns we offer are glued direct to the subfloor, then finished onsite to customer specifications. Higher end patterns shown on this page are 5/16 to 3/4" in thickness, ranging in dimensions of 12 to 48 inch blocks. All patterns arrive and are installed unfinished. 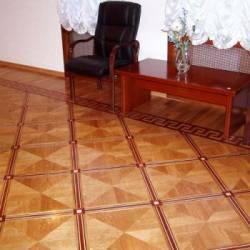 More common parquet flooring has lost favor over the last twenty years. At last glance, common 5/16" thick parquet flooring sold in the home centers is getting harder to find. The only company we know that continues to manufacture common 5/16" parquet is Hartco by Armstrong.